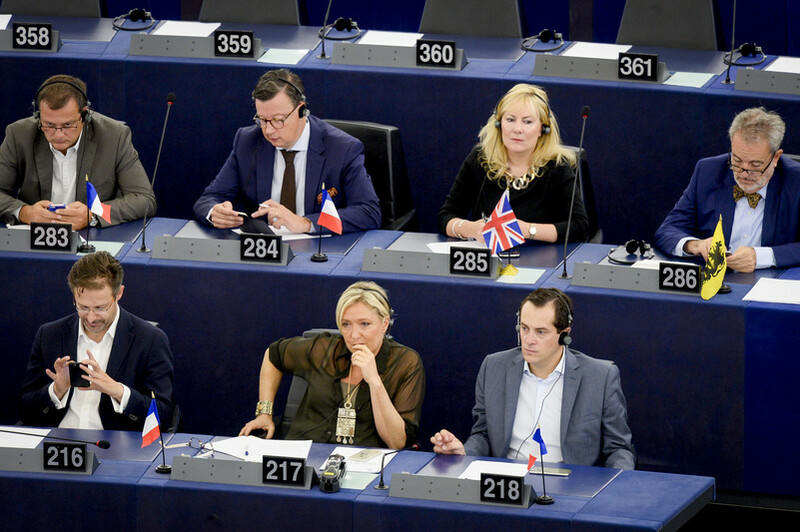 Far-right French politician Marine Le Pen said on Monday (15 April) she would welcome Nigel Farage's Brexit party into a larger eurosceptic group in the European Parliament (EP), if the UK were to participate in the EP elections in May. "He is welcome if he wants to join. Even if it might be just for a moment," she said at a press conference, according to media reports. Le Pen, who leads the French National Rally party, also said "we have mandated Matteo Salvini ... to try to build this very big group of the Defense of European Nations" in the EU parliament - referring to Italy's deputy prime minister Salvini, of the far-right League party. League and National Rally are currently already members of the same parliament group, the Europe of Nations and Freedom (ENF). ENF has 37 MEPs of the parliament's 751. 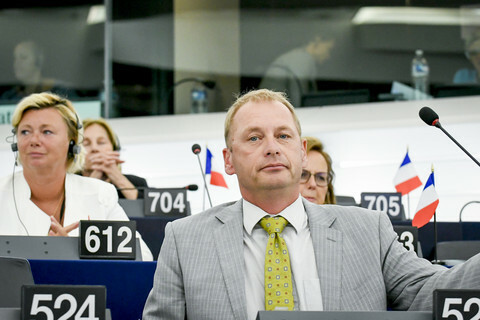 Farage and other MEPs voted in on the ticket of his former party Ukip are members of a different political group, the Europe of Freedom and Direct Democracy (EFDD). Other parties highly critical of the mainstream pro-EU, like Hungary's Fidesz and Poland's Law and Justice party, sit with other groups again. 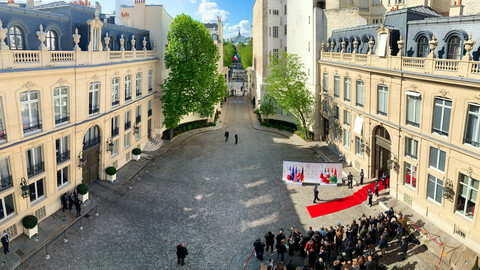 "We want to go further and get the group which is the biggest, the strongest possible," said Le Pen. She also signalled a strong move away from previous promises to have France leave the EU, but instead pledged to reform the EU from within. 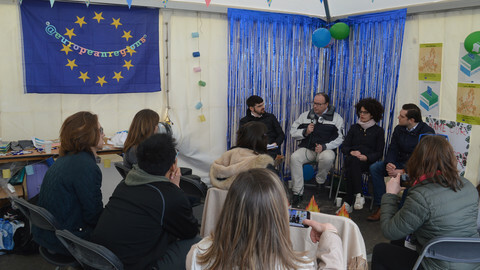 Since the UK voted to leave the EU in 2016 and the subsequent political in-fighting that followed, a similar shift of focus away from 'exits' occurred in other eurosceptic politicians across the bloc. However, not in every country. The Dutch Party for Freedom (PVV) is still very much in favour of a Netherlands' exit, or Nexit, according to MEP Auke Zijlstra. "We [the Dutch] have three percent of the votes. We pay everything, we never get what we want - we are done," said Zijlstra in an interview with EUobserver. He did not expect economic disaster for the Netherlands, a trading nation, if it were to leave the economic bloc. "The most important port of Germany is Rotterdam," he said, suggesting Germany would have no choice but to accept higher tariffs if it wanted to import goods through the Dutch port. But he added he could understand why French eurosceptics were now backing away from 'Frexit' and instead opting for a change from within. 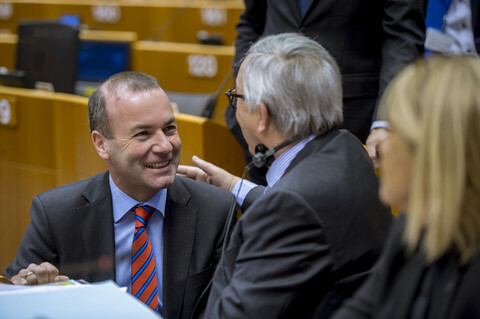 "A European Union based on power blocks, that will never work for the Netherlands. 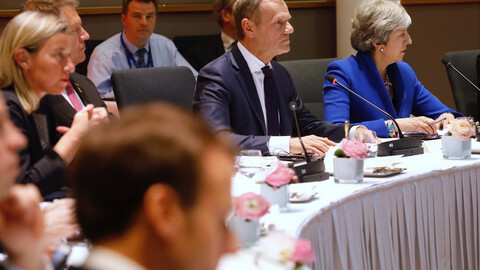 But for very large countries saying: 'we don't see a large common interest but if we are big enough we [will be able] to defend our national interest in a common club', then yes, you have a point there," said Zijlstra. 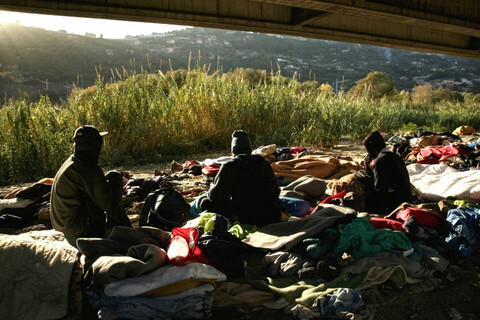 He said that to France the EU "traditionally has been an extension of French interests". Zijlstra hoped to be re-elected next month. He said he had enjoyed the freedom to vote along national lines in the ENF group, rather than being forced to stick to group positions. Zijlstra recounted how he had once heard a Dutch MEP from the second-largest centre-left group, the Socialist & Democrats, tell him about how party discipline worked. "I think I would personally find it difficult to be in a group that has very strict conditions … S&D always voted as one bloc. How do you do that? ", he said. At the same time, if a new eurosceptic group were to want to achieve something in terms of changing legislation, it is going to have to tackle how it finds majorities. While current polling project the anti-EU forces to do well, they will still be outnumbered by more moderate parties that want to move EU integration forward. 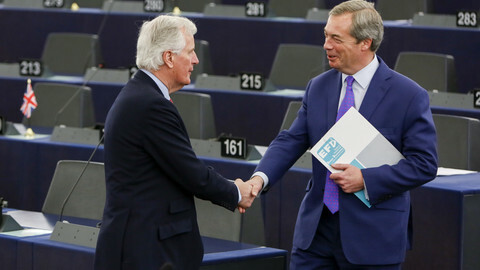 The first official meeting between EU chief negotiator Michel Barnier and leading Brexit campaigner, MEP Nigel Farage has no impact on the talks, but gave a chance for the former UKIP leader to boast. 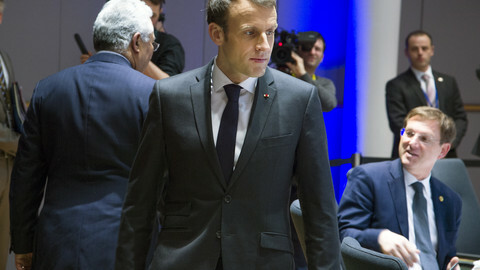 French leader Macron and far-right leader Le Pen have reached out to 'yellow vest' protesters, as debate on the EU elections heats up in France and Germany.